The Bermuda Startup Challenge, led by Chairman Adrian Lodge and Co-chair John Narraway will put a new spin on the annual Startup Weekend event that has been held in Bermuda for the last four years. 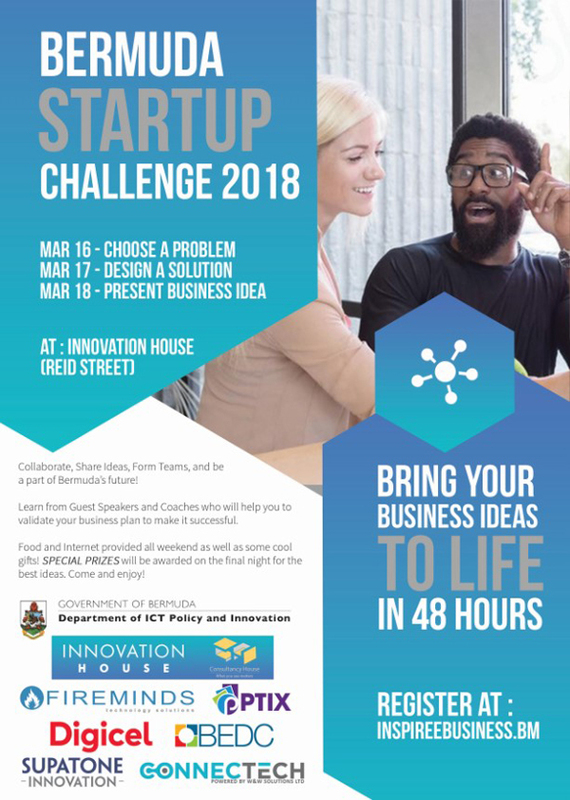 With support from the Bermuda Economic Development Corporation and the Department of ICT Policy & Innovation, the Bermuda Startup Challenge 2018 will incorporate the latest technology and the sharpest minds that Bermuda has to offer. The weekend-long event will be taking place from March 16th to 18th at Innovation House on Reid Street in Hamilton. “The Startup Challenge is designed to bring entrepreneurs with various talents together with the intent of forming teams to tackle problems that exist in Bermuda today and design a business plan to overcome these problems,” the organisers explained. “For this particular event, the focus will be on Business Validation, concentrating on what each team does in terms of analyzing and gauging the feasibility of starting their own business. “Thanks for inviting me to Bermuda to work with the islands’ young entrepreneurs! I can’t wait to see everything Bermuda has to offer and meet the inspiring next generation,” he said. Mr Lodge explained, “This year we are doing something a bit different where, in addition to services offered to the winners, we are also going to be giving away a People’s Choice award which includes a cash prize. To learn more, visit the website, or call 292-5570.